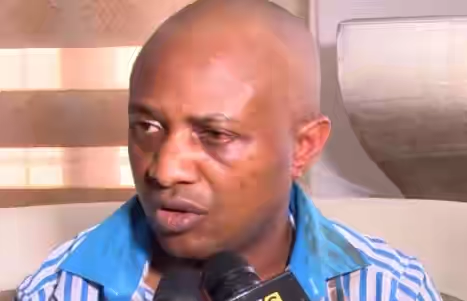 IN the sleepy village of Inyaba in Akamili area of Nnewi town, Anambra State, the arrest of kidnap kingpin, Chukwudi Dumeme Onwuamadike aka Evans has brought shame to his family and kinsmen. His father, Stephen Onwuamadike, who relocated to the community after his business empire collapsed in 1985 after he was defrauded, battles poverty. 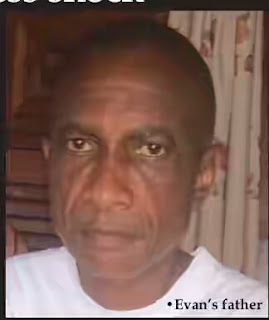 The fair-complexioned Onwuamadike told The Nation that since he suffered a reversal of fortune about 32 years ago, he had gone through the pains and agony of suffering without any form of help from anywhere. The only thing sustaining him for now, he disclosed, is a small poultry business in his compound. Narrating his son’s upbringing to The Nation in his residence tucked behind Immanuel Anglican Church, Evans’ father said he was the youngest millionaire in Nnewi before his business misfortune. He said people like Innocent Chukwuma (Innoson group) were using their pick-up vans to pick goods from his warehouse located inside his compound, where he was storing motor-spare parts back in the days. “I used to go to Japan, Singapore, Germany, London, Korea among other countries to import generating sets and motorcycle spare parts. I found myself in this condition in 1985 when I was duped by 419ners(fraudsters) from Aba in Port Harcourt. “I built this house in 1984; by that time, this my son Chukwudi (aka – Evans) was only three years old. I took them to many places to give them the good things of life. The problem of that boy started with his mother in 1986 when I started having problems with her and she was junketing from pillar to post. “Chukwudi my son was enrolled in good schools from nursery to secondary. I put him in Merchant of Light Boys High school in Oba Before then, he had gone through Summit Nursery School to Nnamdi Azikiwe University Primary School in Awka. I removed him from those schools when I noticed that the mother was visiting him because I did not want her to infect him with bad spirit” He said his wife Chinwe, 50, left his house in 1986 leaving her four children behind, with his mother, Margret Onwuamadike, 78. He explained further that Evans’ mother later came back to his house two years later. He said that when his son left Oba Boys Secondary school (Merchant of Light) after two years, he did all he could to persuade him to further his studies to no avail. He said: “My son (Evans) insisted that he would trade in spare parts and I made arrangement with Cosmas Maduka, through his elder brother, to take him to Lagos, but the boy later rejected the plan, not knowing that he was being negatively teleguided. “But in 1998, I left Nnewi for Lagos and I was living at Ikotun and started worshipping at T.B Joshua’s church, Synagogue, and when the boy came to me, I gave him money to go back to Nnewi after he found his way to Lagos where he said he had started learning a trade “So, in 2005 again, he called me that he wanted to marry and I asked him how manage, because I was aware that he was not doing anything tangible, but he told me not to bother, that he needed my presence, which I obliged him. “Chukwudi Onwuamadike who is being paraded as a kidnapper is my first son; there are other 10 of my children; eight boys and three girls, they were to be 12 but one died. “After his marriage in 2005, he moved back to Lagos with the wife and since 11 years, my brother, I will tell you that I don’t know his whereabouts. “The only person who can tell you in and out of his movement, his connections and his dealings is his mother (Chinwe) because they are always discussing on phone and he does not call me. However, he said if Evans was released, he would be the happiest father. According to him, “he is still my son, blood is thicker than water. Since I was told about this incident on Monday by some people, I have not been sleeping and I have refused to allow my old mother to know about it because she would die immediately;” Stephen Onwumadike narrated. Also speaking with The Nation, the Obi of Akamili, 81- year-old Edwin Oduonye, who could not stomach what he called the insult brought on them by their son, slumped on his seat and started crying like a baby. It took the reporter some minutes to calm him down, but he managed to clean his eyes and told The Nation that the boy was nice when he was growing up. The old man popularly known as (Nnanyelugo), said his late wife was the younger sister to the wife of the late Onwuamadike. “He was a good boy when he was a child, but I believe that he derailed when he started mixing with bad groups. “This is painful because the boy in question is from my domain and Nnewi at large. Our people are not known for something like this; they are hardworking people. “I have never seen such a thing before, only God can adjudicate on an issue like this. The present condition has not only put his family in confusion but the entire Nnewi clan. Whether dead or alive, he has brought shame to our people,” Oduonye said. Also, 38-year-old Ezenwa Oduonye, who resides in Guinea, told The Nation that the arrest of Evans was a shocking news to them. 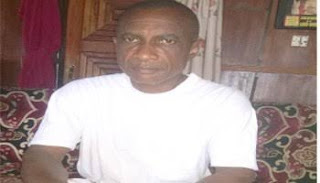 He said when he knew Chukwudi (aka- Evans), he was learning spare parts in Lagos, adding that they had never communicated on phone or seen each other in the last nine years. Another community leader in the village Chinaedum Obanye told The Nation that what the man did in Lagos was a taboo in Nnewi kingdom. He said the people of Nnewi were not known for things like kidnapping or armed robbery, adding: “Whatever you sow, you shall reap”.